THE GUITAR PLAYING and writing of Moss Freed captivate me. His style seems to hark back to the vibrant ’70s period of discovery and invention, when ‘prog’ was king and the UK was bursting at the seams with high-profile, home-grown rock and jazz/rock talent. Yet the Berklee College-trained guitarist also has a forward-thinking approach to his music, which is reflected in this wholly collaborative quartet project, ‘Let Spin’ – and recognised by artistically imaginative indie label Efpi Records. Manchester-born Freed impressed with his 2013 release, ‘What Do You See When You Close Your Eyes?’ (reviewed here) – a particularly successful marriage of jazz/rock and literature in which eminent writers were invited to create their interpretations of already-conceived and recorded tracks. In ‘Let Spin’, he teams up with the same bassist, Ruth Goller (Acoustic Ladyland), along with Chris Williams (Led Bib) on alto sax and drummer Finlay Panter (Beats & Pieces Big Band), to deliver this eight-track debut release of powerful proportions… and equally-shared writing credits. For the most part, it’s hard-edged jazz and/or rock (depending on your viewpoint), Goller and Freed providing the propulsive electric framework on which Williams and Panter thrive. The heavy unison sax, guitar and bass chromatics of Finlay Panter’s Awowowa immediately conjure thoughts of King Crimson, with fast-paced, stressed screeches and feedback – heady stuff indeed, especially when lines begin to cross and intertwine, Chris Williams’ alto displaying impressive Ron Aspery-like acrobatics and bite. Coincidentally (another ’70s ‘Back Door’ reference! ), Ruth Goller’s bass technique is partially reminiscent of that of Colin Hodgkinson, combining – as in opening number, Castle, Sea, Ferry – strong melody and chordal groupings to great effect. Moss Freed’s bizarrely-titled, seven-minute How To Woo A Dolphin initially veers more towards a jazz soundworld, demonstrating Freed’s luxuriant guitar chords before his impassioned, sustained lead (with echoes of Mahavishnu) invites the quartet to break loose into a satisfyingly rich groove. Shapes & Sizes finds its writer, Chris Williams, pitching his raw sax improvisations against a great saturation of bass and wah-wah guitar, Panter relishing this full-on vibe. The simple-yet-addictive retro bass hook of 102 Hill Street becomes irresistible, Freed and Williams establishing a very effective tonal sax/guitar partnership. Punching hard and heavy, thanks to Panter’s determined rhythm, it increases in intensity and complexity… and I can imagine a thrilling, extended, live showstopper! 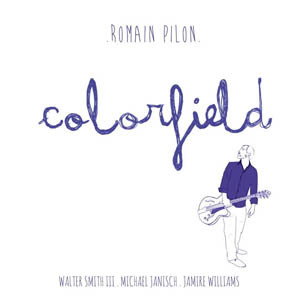 Mellower in approach, Goller’s Piper is neatly balanced – a platform for Williams’ alto ruminations, as well as Freed’s lush chords and clear solo creativity. From it’s title, it’s no surprise that Chris Williams’ Up And At Them is the rockiest number on the album, leaning towards Goller’s ‘Ladyland world – alto sax blowing hard through gritty, repeated riffs, plus terrifyingly-high reverbed solo work from Freed (to be revved up loud!). Ruth Goller’s ‘mock-tuning’ introduces the final track, Moss Freed’s A Change Is Coming, the band’s unison signature unfolding into a more lyrical, countrified expanse, yet still bursting with character and invention from all quarters. 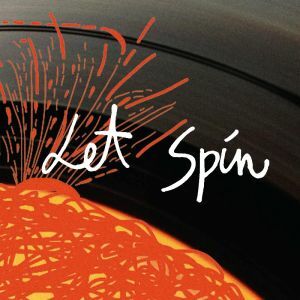 ‘Let Spin’ is released on 10 February 2014, available from efpirecords.com. Accompanying 10-date UK tour begins in Bath on 17 February, concluding at The Vortex on 27 February.